My name is Eliot. I am one of the volunteer helpers at the Genealogy Help Desk Stanton Library, North Sydney. I’m here every Friday morning from 10am to 12pm. This little article is about an ancestor of mine who I discovered has an interesting story. I am writing here about John Neal (born abt 1632 Scotland died 18 Feb 1704 Berwick, Maine) who was my Great great great great great great great great Grandfather. 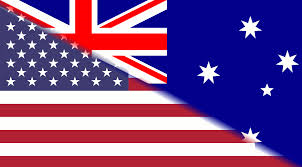 Not everyone realises that before English convicts were sent to the sun drenched golden sanded beaches of Australia they were sent to other places around the world including the fetid mosquito ridden swamps of the Massachusetts Bay Colony. No accurate records were kept of the number of transported persons to the North American colonies. Estimates range from 50,000 to 120,000. An American’s ancestor was just as likely to have been a godless ruffian with a ball and chain and a meal of gruel as a pious farmer giving thanks for a turkey dinner with cranberry sauce. 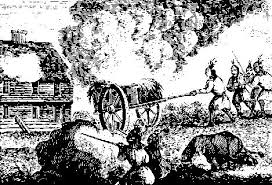 The American revolutionary war put an end to convict transportation. Australia was founded as a replacement destination. A place so lovely that revolt against the mother country was thought unlikely. 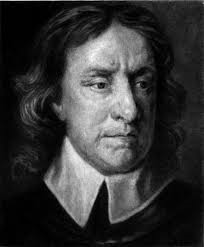 My ancestor, John Neal (Nieal, Neale, Niel, who couldn’t spell, a trait I have inherited) was a bit different in that his only crime was to have fought against the armies of Oliver Cromwell and lost. He was a Scottish prisoner of war. 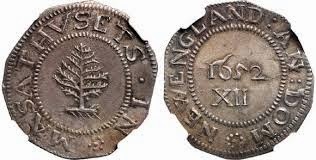 Thought to be too dangerous to be banished to somewhere as close as Ireland, he, along with 149 other Scottish prisoners were sent to Massachusetts sometime in the early 1650s on the ship ‘Unity’. The Scottish army loyal to King Charles II, who was recently proclaimed King of Scotland in 1649, was defeated by Oliver Cromwell at the Battle of Dunbar in 1650. It is estimated that 6000 Scottish prisoners were taken of which 5000 were marched south to Durham. 3500 of these men died either on the march south or from malnourishment and disease while in captivity. The majority of the 1400 survivors were sent to North America. John Neal became an indentured servant (read ‘slave’) for 6 years at the Saugus Iron Works along with other Scottish prisoners. The need for iron tools for the new colony was a priority for the Governor John Winthrop who was personally involved in establishing a foundry. 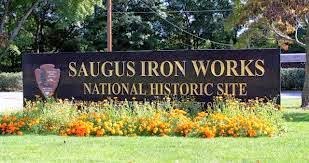 The Saugus Iron Works has been preserved as a museum in the suburbs of Boston. 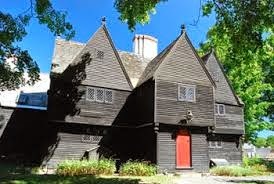 The Iron Masters house is the only original building that has survived. The rest of the site was excavated and rebuilt in the 1950s with the support of the American Iron and Steel Institute who consider it the birthplace of the American Steel Industry. Here is the clunky 1950s film about it’s excavation. 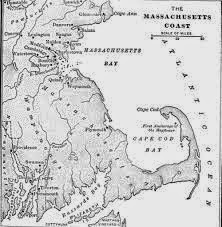 After his release John Neal was given a grant of land in the southern part of the state of Maine with other Scottish ex-prisoners of War. The town was named Berwick. It is thought to have been named after Berwick-on-the-Tweed a place near to where the Battle of Dunbar took place. Whether this was a name chosen by the Scots with pride or forced upon them as a humiliating gesture by the ruling English elite of Boston is not known. Unfortunately no personal documents or possessions of John Neal have survived so it’s hard to know anything more about him except to imagine how his life was affected by the historic events of the time. John and his tiny community of Berwick would have been involved in various skirmishes with the Native American tribes who lived nearby. The King Phillip’s War in 1675 was followed by 6 wars over the next 76 years between English colonists, French colonists and the Native American peoples. Although not much is known of John’s specific involvement in these conflicts his son Andrew Neal (my ancestor) gets a mention in the 'JOURNAL OF THE REVEREND JOHN PIKE; A Memorandum Of Personal Occurents'. Rev Pike’s (1653-1710) diary describes the day to day battles and deaths of various Indian wars during the time of his ministry at Dover New Hampshire as well as the deaths and misfortunes of his own congregation and family. The language to me really evokes the era. 1684. — March 22. A prodigious Tyde rising some feet higher y"
the observation of oldest standers (in this place) did great Damage to wharves & ware-houses in Boston § & Pascataqua. many : tho not universally perceived : This hapned Sabbath day four a clock afternoon. 1685. — July 15. Humphry Tiffany & Frances Low travelling betwixt Swanzy & Boston, were slain with Lightning. An earthy innocence seems to shine through the pomposity of the language. Very Puritan. But I digress. It’s a great read and it’s free online at the internet archive website. If any volunteer helper or member of the public would like to write an article about an ancestor they discovered that they find particularly interesting please contact me and we can add it to this blog. I personally have heard a few really riveting stories from people during our Friday morning Help Desk at Stanton Library and would love to see some of them published here for others to share. How did you or your family end up in Australia? Have you been able to trace any ancestors from Scotland before John Neal?